Kristopher Avant, DO. (Oklahoma City) - Book Appointment Online! Dr. Kristopher Avant, a graduate from Yukon High School, received his Bachelor’s of Science degree at the University of Oklahoma. He obtained his medical degree from Oklahoma State University Health Sciences Center. Dr. Avant completed his residency in Orthopaedic Surgery at Bone & Joint Hospital at St. Anthony in Oklahoma City. He continued on to complete a Hand & Upper Extremity Fellowship in Tampa, Florida at the Florida Orthopaedic Institute. While in Tampa, Dr. Avant had the opportunity to work extensively at the Shriners Hospital for children. 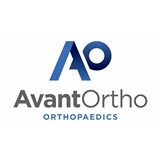 In addition to practicing a comprehensive range of general orthopedics, which includes trauma, joint replacement, and sports medicine, Dr. Avant specializes in Hand, Wrist, Elbow, Shoulder, and Microvascular Surgery.